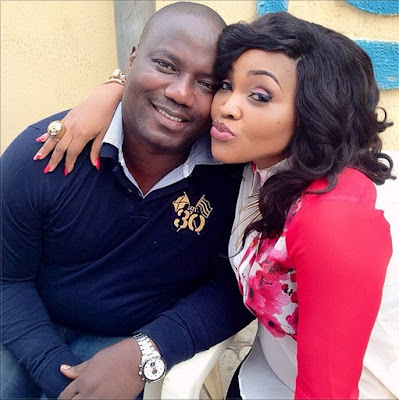 The Mercy Aigbe and husband Lanre Gentry domestic violence which has led to him being remanded in prison for not being able to meet bail conditions has generated huge controversial talking points among Nigerians. The estranged husband of the actress was remanded in Ikoyi prison custody following a three count charge offence bordering on breach of public peace, assault and causing grievous bodily harm on his wife. under sections 157 (f), 168 (a) and 171 of the Criminal Law No II, Vol. 44 Laws of Lagos State of Nigeria 2011. The amazing thing though is how some people think the fact that Mercy had a child for her husband means she should look away or not press charges after he had beaten her to the point of hospitalization many times! Some women were even saying there must be a reason why he hit her and what did she do.It is really sad that they still think this way in the 21st century. There is a reason why there is divorce.If you are no longer fit to be together,divorce her.Or go to the gym and fight a man. I really hope this jail lesson teaches him a lesson.